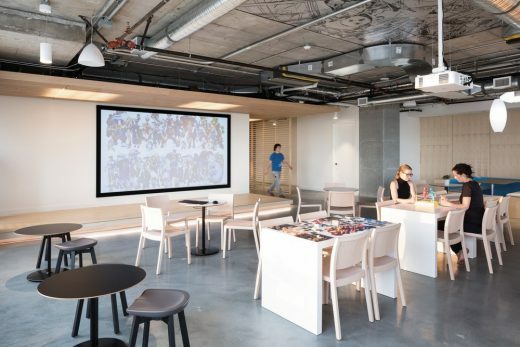 DIALOG’s Vancouver interior design team turned video game office design on its head with Capcom’s new location for its Canadian Headquarters. 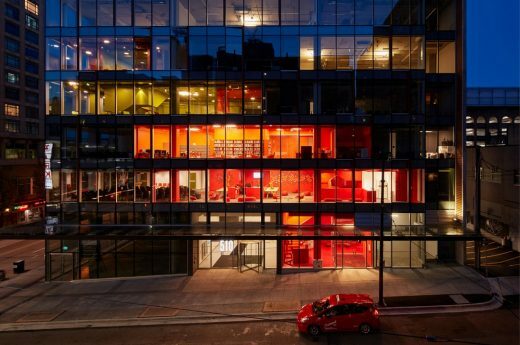 Capcom wanted to relocate to a more urban, transit-oriented building that would ease employees’ commutes. DIALOG and Capcom selected a 52,000 sq. 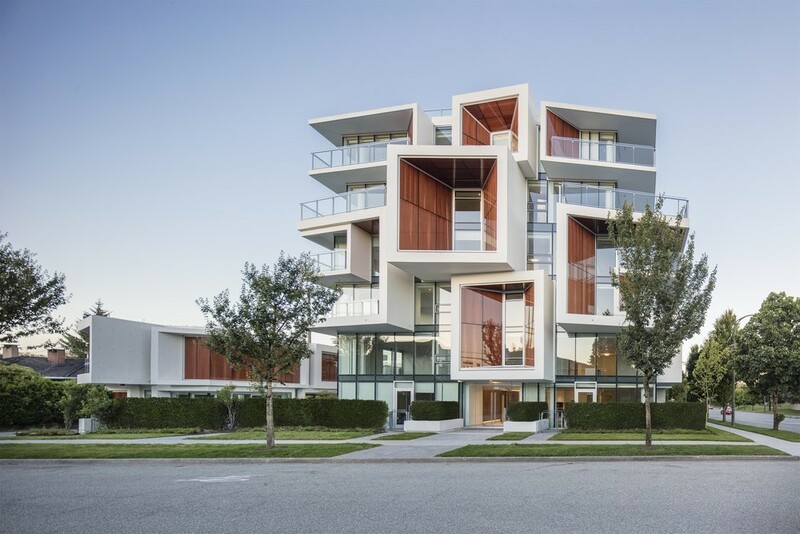 ft. of raw shell space in a new mixed-use development quietly nestled in a peaceful business park along Greater Vancouver’s Sky train line in Burnaby, British Columbia. 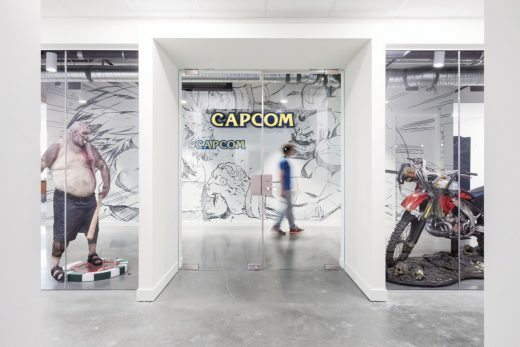 Capcom’s new office design is a deliberate response to the maturing gaming industry, Capcom’s goals within said industry, and the end-user experience—all folded neatly within the context of Capcom’s Japanese roots. Capcom is the developer and publisher of popular video game series such as Dead Rising, Street Fighter and Mega Man. A world-renowned video game company, Capcom has been an industry leader for over 30 years. 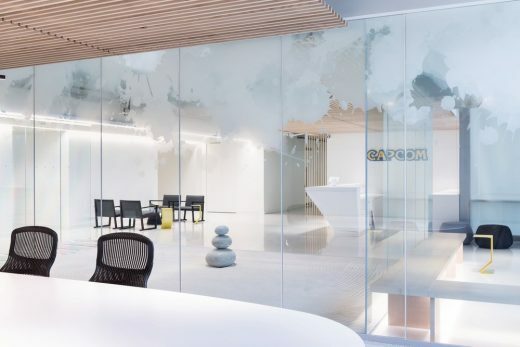 While the company was founded and is headquartered out of Japan, its new Canadian Headquarters location pays homage to their deep-seated Japanese roots and sends a message that Capcom is reinvesting in its Canadian presence. Capcom is committed to Vancouver and attracting top talent in the area. 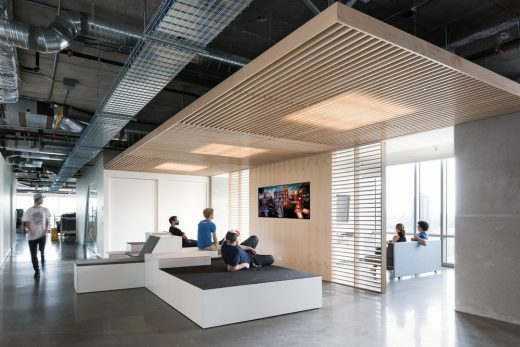 Video game company office designs are typically loud and busy. DIALOG and Capcom steered away from these precedents and focused on addressing the specific needs laid out before them. 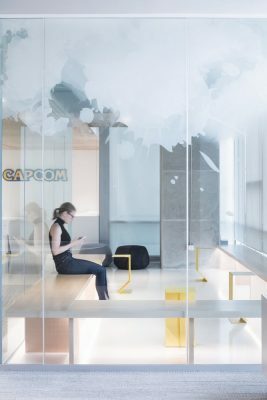 Capcom wanted a refined space that offered moments of reflection, where visitors and employees could be inspired by the company’s roots, harnessed in a design that represented its future. Surprisingly, what emerged through an exercise with the client—where they worked together to determine that Capcom wanted to separate themselves from the pack—was an atypical design direction. What’s materialized is a hyper-real Zen experience. DIALOG drew inspiration from traditional elements of Japanese design like wood, reflection ponds, origami, shoji screens and tatami mats. They extrapolated elements of these inspirations and reinterpreted them throughout the space. Walking into the welcome area, the reception desk takes on the sharp angles of folded pieces of paper—immediately visitors are welcomed with a nod to the meditative practice of origami. Further expressing this idea are the many-faceted origami forms that fold their way through the space. This idea is expressed through furniture pieces and the angular encased meeting rooms. There is no shortage of collaboration at Capcom, so generous amounts of open space were allocated to create breakout rooms/impromptu collaborative working environments. The impetus for the custom wood-slat ceilings seen throughout the space was a tatami mat. 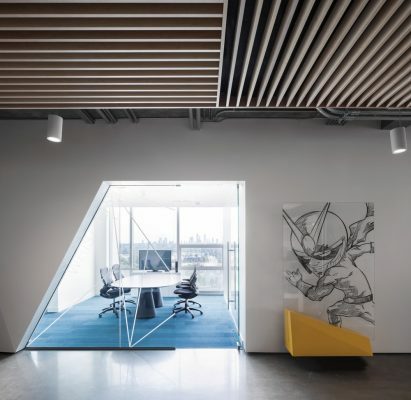 These ceilings clearly define where the collaborative nodes are throughout the space. Each stick of wood is rotated to mimic the shapes of a traditional tatami mat. If you find yourself under a wood ceiling, you’ll find mobile whiteboard walls accompanied by soft pebble-like furniture. These are life-size interpretations of the pebbles found in the sand gardens on each floor. These gardens delineate central meeting rooms, and are an opportunity for active meditation and reflection. DIALOG worked with Capcom’s animators to develop a two-story projection featuring one of a kind Capcom koi that gently swim in and out of a two-storey void. 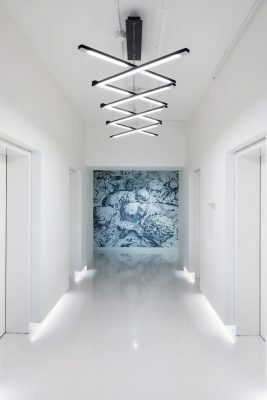 In that same vein, DIALOG visually connected the floors by cutting out an atrium space that would house a custom digital koi pond. A “ring-road” corridor connects employees to the different points of discovery throughout the space. Along this walk you’ll find a curated selection of Capcom’s intellectual property. 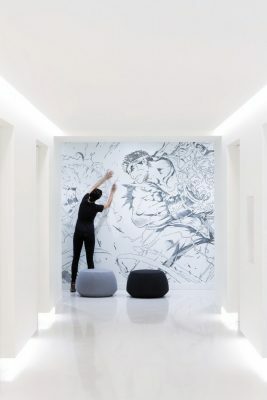 Life-size figurines and hand sketches stand out against the space’s refined and elegant palette. Capcom Vancouver has a grown-up outlook on the gaming world. The business of play is a serious one. It’s not just about gaming anymore. DIALOG and Capcom looked above and beyond the usual video game office spaces that are typically loud and busy. Capcom took the road less travelled. 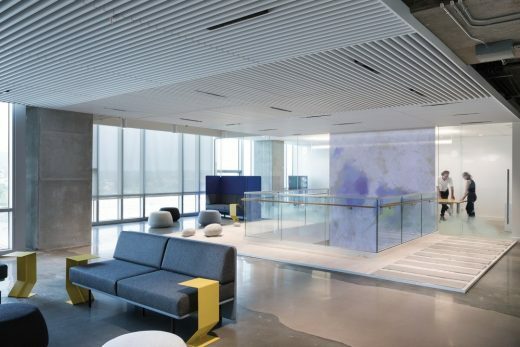 They wanted a refined space that offered moments of reflection, where visitors and employees could be inspired by the company’s roots, harnessed in a design that represented their future. 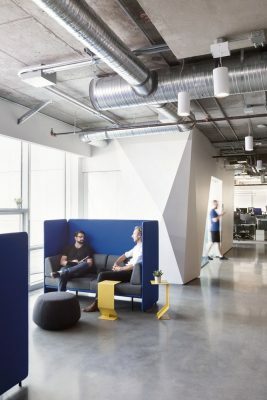 The new design execution breathes relaxation into the minds of employees, alleviating stress by offering relief from the over-stimuli found in typical video game office designs. Origami Rooms: These meeting room façades resemble hand-folded boxes. They offer moments for quiet communal collaboration. Collab Rooms: Small gaming rooms where employees can awaken their minds by meditating over a game or two. 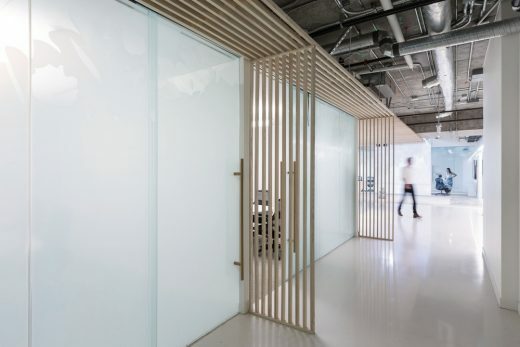 Gallery Walk: A “ring-road” corridor connects employees to the different points of discovery throughout the space. Along this walk you’ll find a curated selection of Capcom’s intellectual property. Life-size figurines stand out against the space’s refined and elegant palette. Origami Folds: A design theme that threads throughout and unifies the space, the expression of the art of origami manifests in functional pieces. Side tables, the reception desk and meeting room facades pay homage to the tradition. 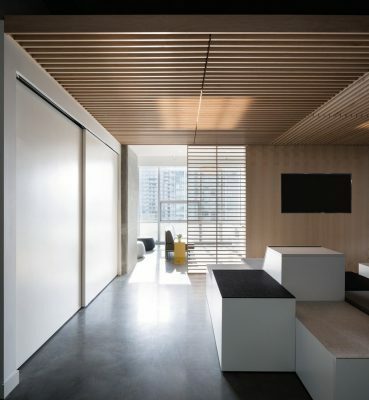 Tatami Ceiling: An elegant tatami inspired ceiling redefines the pre-existing exposed and industrial ceiling of the entrance and adjacent meeting rooms. Zen Gardens: Sand gardens encircle meeting rooms, metaphorically segregating them from the rest of the office; travelling over stones to enter them, one leaves previous thoughts and work “in the office” to step into a new arena in one’s mind for collaborative creativity. Elements of the Zen gardens extend into breakout meeting areas, where the seating was specifically chosen to look like enlarged pebbles.